These Picture Frames make a Great Display with its Classic Black Finish and Angled Molding Borders! These Picture Frames are Perfect for Home or the Office! Buy Discount Poster Frames Online Today! Picture Frames with Sleek Black Finish Mounts Vertically or Horizontally, 24" x 36"
The picture frames are fabricated from aluminum, for an appealing, lightweight and resilient presentational tool. These black frames, picture frames have angled molding to give your presentation a more professional appearance. 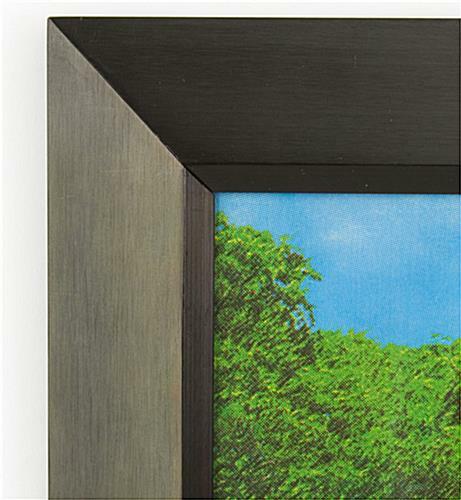 The molding will blend effortlessly with any artwork you select to accentuate! 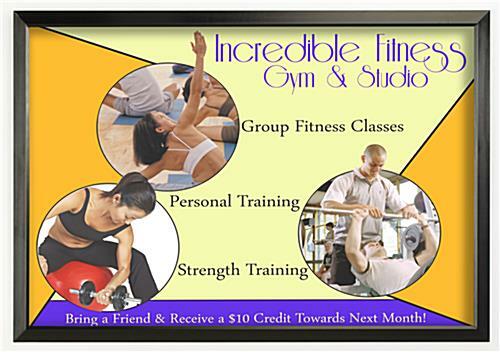 Your graphic frames are trouble-free picture frames, when it comes to environment up a presentation or changing artwork. We supply the picture frames each with a cardboard backing and (8) retainer clips to maintain your posters securely in place. These picture frames, for example aluminum holders, or graphic displays, also supply a transparent lens to shelter your artwork from dust, moisture or vandals. 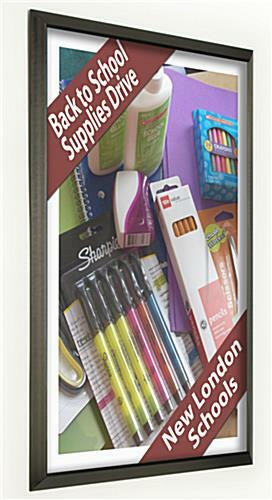 These picture frames are appealing poster holders, you can use in several locations. 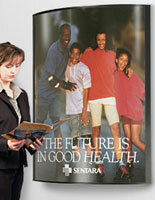 The photo frames, picture frames hold a standard-sized, 24" x 36" graphic, poster or advertisement. Often, you will discover these displays displaying advertising images, directories or even motivational artwork. Picture frames, also recognized as advertising holders, will suit both landscape- and portrait-facing artwork, with their provided hanging brackets.